A performance trek packed with enough visuals to stir the blood of any necromancer. The witch hunts of Europe and Colonial North America began around 1450 and ended about 1750. Witches have been blamed for everything from famine and unseasonable weather to incurable disease, sickness and death. It is estimated that between thirty five thousand to one hundred thousand witch executions have taken place. 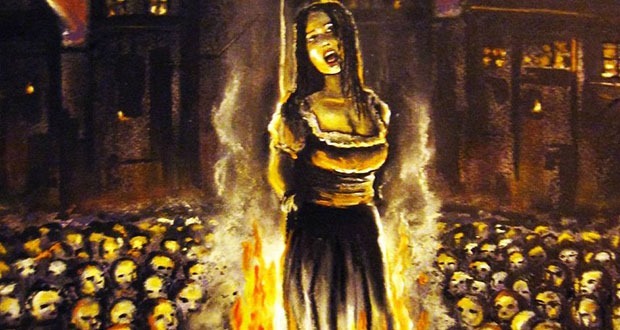 Witch hunts still occur today in countries where the belief in magic is still prevalent. Lynching and burnings have been reported with some regularity in countries such as Africa and India. In Saudi Arabia conviction of witchcraft is still considered a crime punishable by death. It appears our fascination with witches and their craft will never go away. A morbid musing of malignant sorcery, I wonder when we will draw the line between fatality and fantasy. 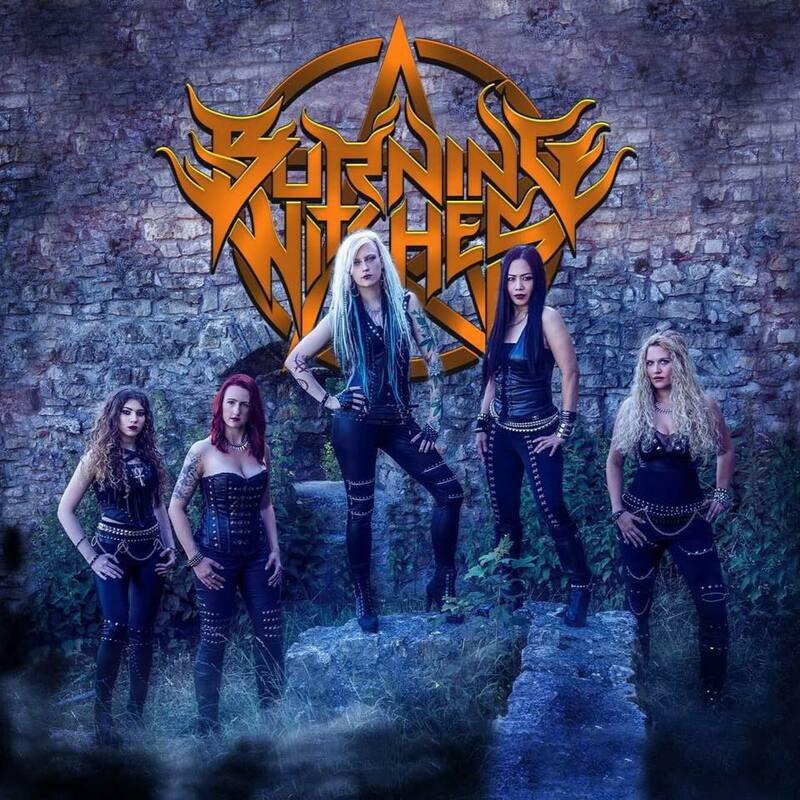 Burning Witches is an all-female heavy / power metal outfit from Switzerland. The band is relatively new to the scene, active since 2015 but their spells are strong. The group has already unveiled a debut effort (Burning Witches – 2017) and a live offering (Burning Alive – 2018). 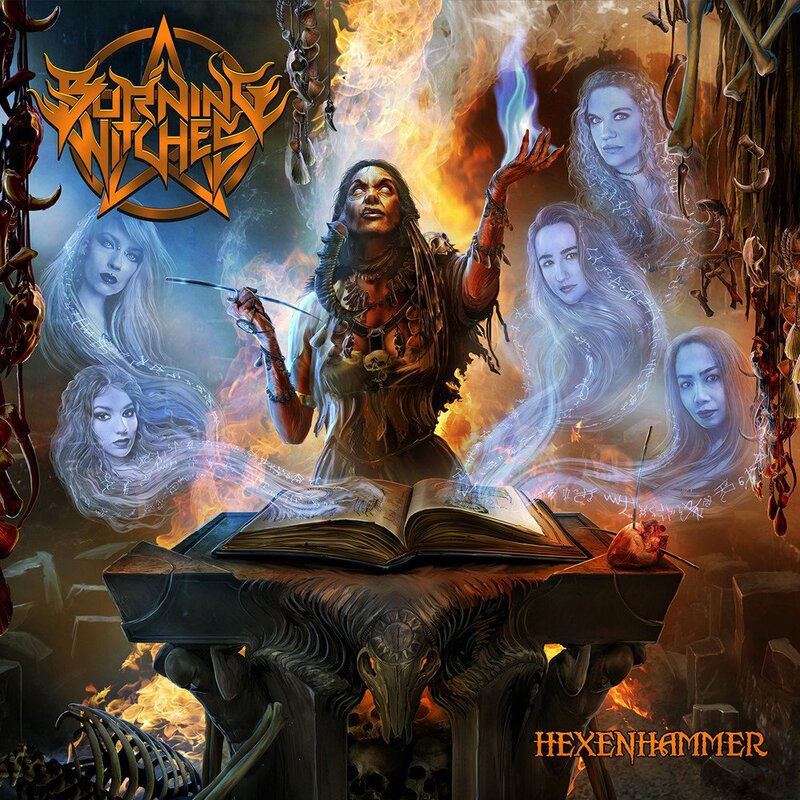 Their latest incantation, Hexenhammer, hit the street last November via Nuclear Blast. The music video “Hexenhammer” was released in support of this offering. A performance trek packed with enough visuals to stir the blood of any necromancer. This effort is as thought provoking as it is entertaining. Throw in a heavy metal vibe strong enough to conjure the devil and we have all the replay ability any aspiring warlock or witch would desire.